Azimut|Benetti Group stands once again on the Global Order Book 2015 top step of the podium of the annual ranking of the top 20 mega yacht builders in the world. With 66 new projects under construction 18 more than the runner-up, it is therefore confirmed the success of the Italian Company’s models, thanks also to the contribution of both the Group's brands: Azimut Yachts and Benetti. The comparison with the previous edition highlights a slight increase in the average yachts length, currently around 127 feet, sign of a changed market. Success was possible thanks to the production processes’ development and improvement carried out in the last few years, though other issues have to be considered: the shipyard high financial reliability, the accuracy with which it conducts pre-contractual negotiations and honors the agreements, not to mention the projects high quality. Those have all been key factors in achieving such positive, and so not obvious, results. The Global Order Book snap-shot points out the Italian record as prime builder of mega-yachts in the world, followed at a great distance by The Netherlands: a positive signal for the Company and for the entire Italian yachting industry. 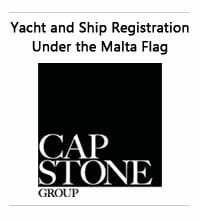 The annual ranking by ShowBoats International, the prestigious US magazine, is an influent and respected benchmark for the entire marine industry, reporting every year the exact performance of the sector, based on data relating to actual orders for yacht starting from 80’, orders that has to be confirmed no later than September 1th. A new Benetti superyacht above 100 meters, whose contract was signed beyond that date is excluded, in fact, from the classification. Following reports received by the Azimut|Benetti Group regarding the commercial set up of Azimut Yachts in Mexico, the Company wishes to shed light on the composition of the local structure, underscoring the fact that Azimut Yachts Mexico is the sole and exclusive authorised Azimut Yachts dealer in this area. AYM boasts an extensive network of sales and service outlets in Mexico City, Cancun, Acapulco and Puerto Vallarta. In line with the philosophy of Azimut|Benetti Group, which has decreed its success throughout the world, the extensive and qualified Azimut Yachts of Mexico team - consisting of more than 20 sales agents and professional technicians, who provide all-round assistance from the purchase of a yacht and throughout the vessel's entire life cycle - is the greatest strength of Azimut in this important market. As in every Country, the group aims to provide the best possible service and ensure safe cruising for all those who chose the Azimut Yachts brand. The Mexican market is of great importance for the Azimut|Benetti Group: since September 2014, when the Mexican office opened, four units have already been sold, including the brand new Azimut Grande 112. In February 2015, the new Azimut Yachts Mexico headquarters will be inaugurated in Mexico City. In Miami, at the upcoming Miami International Boat Show February, 12-16, 2015, Azimut Yachts of Mexico will be pleased to meet its customers, and anyone wishing to learn more about the Italian brand's yachts and admire the new features of the latest collections. Finally, the Azimut|Benetti Group would like to thank the previous dealer for the work done in the last 20 years and wishes to Azimut Yachts Mexico a future full of success and satisfaction. 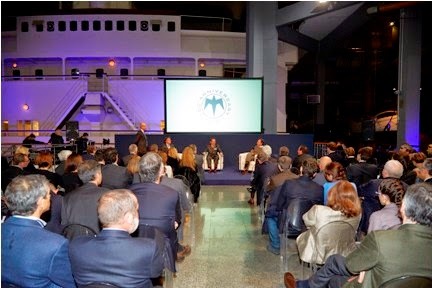 On December 1st Baglietto shipyard presented at the emotional naval pavilion of the “Museo della Scienza e della Tecnologia” in Milan the book “Baglietto – 160 years of Italian Boatbuilding” celebrating the history of the most ancient Italian shipyard building pleasure vessels. The exclusive event boasted the presence of an exclusive VIP guests list, including important representatives of the Made in Italy industry and the finance world. The presentation was moderated by the Italian journalist Federico De Rosa. The book edited by three journalists experts of the yachting sector, Mr. Roberto Franzoni, Mr. Dominique Gabirault and Mr. Justin Ratcliffe, celebrates the long history of the Seagull Brand by means of assembling a considerable collection of writings and of unprecedented images. For 160 years, Baglietto has been an icon of yacht building. Its history tells us about 160 years of Italian History experiencing wars, the economic boom, the recession as well as international successes but -throughout it- Baglietto has always championed technical and aesthetic innovation along with high quality design and construction. Likewise, the book tells us about many famous ship-owners, Popes, Chiefs of State and State Representatives, musicians, writers and entrepreneurs as well as about the real connaisseurs whom have chosen this brand being the symbol of the real Italian craftsmanship able to create style, art and beauty. Taking the opportunity of such an important anniversary, Gavio Group, that acquired the yard in 2012, wanted to publish a commemorative book that recounts the history of the boatyard, its evolution, style and many innovations that have seen the famous flying seagull logo take off from the beach of Varazze and voyage the seas of the world. This year’s London Boat Show will see Fairline announce ambitious plans for new product development, as it unveils three exciting new additions to the range - the first of eight new models to be launched over the next three years. The first of these new additions is the new Shadow S, which will be revealed to the boating public for the very first time at the show. Details of this exciting new model are being kept closely under wraps until the Fairline Press Conference on the first day of the show. The London Boat Show will see Fairline make a real statement about the future and share the fruits of its extensive investment in new products and innovation. Among the exciting announcements in Fairline’s plans for the future are some significant changes to the interiors of its elegant range. Launching to the world for the first time, designs for the new interiors will be displayed on the Fairline stand, with space dedicated to each of the four new colour themes: Capri, Hamptons, St Tropez and Amalfi. The new-look Fairline stand will offer visitors to the show a place to relax in style. The popular Squadron Bar will once again be located opposite the stand entrance and visitors are invited to enjoy Fairline Squadron and Targa beers, developed especially for the brand. Fairline owners and visitors can also enjoy a glass of bubbly or a cup of excellent coffee in the main hospitality area, where Fairline staff will be on hand to welcome visitors. The Nautic Design Awards were presented in the course of Nautic Expo, held in Paris from 6-14 December. In the category of “Day Boat” the Frauscher 747 Mirage won the Nautic Design Award 2014 and was also distinguished with the special award of the French magazine Sports & Style. Its strong design language and refined features put the 747 Mirage in the spotlight at Nautic Expo 2014 and enthused major international figures of contemporary and modern design. Both awards were given in recognition of the hard work of Frauscher’s in-house development director Thomas Gerzer, the Austrian design team of Kiska GmbH and designer Harry Miesbauer, who was responsible for the design of the hull. With new projects on the drawing board and the sales ticker counting higher, 2014 was bound to be a milestone year for Kadey-Krogen Yachts. Today the company is happy to announce their 600th new boat sale, a Krogen 44’ AE, to two new members of the Kadey-Krogen family of owners. Kadey-Krogen Yachts also thanks and congratulates Greg Kaufman, Kadey-Krogen Yachts sales executive, who produced this record sale. Today’s generation of Kadey-Krogen trawler yachts stems from their 38-year heritage of principled innovation, and their new models and design changes are led by naval architect Dave Glasco and the Kadey-Krogen in-house design team. Glasco is a University of Michigan alum and graduated from the same prestigious Naval Architecture and Marine Engineering program as Jim Krogen. Production will begin next month at Asia Harbor Yacht Builders in Kaohsiung, Taiwan, and delivery is slated for fall 2015. Kadey-Krogen Yachts has been in partnership with Asia Harbor for more than 25 years. The rugged and beautiful coastline of Washington State near the USA and Canadian border is a long way from Australia, but over the past five days a group of dedicated boaties aboard their Maritimo cruisers have enjoyed some real Aussie hospitality courtesy of leading US boat brokerage firm Hampton Yacht Group Maritimo Australia's Sales and Marketing Manager Greg Haines has been in Roche Harbour since last week helping organise the 'Maritimo Muster' with H.Y.G's Bill King and said it had been a resounding success. Mr Haines said the experience was both educational and enjoyable with all owners reporting that they knew more about their vessels and had improved their confidence as skippers as a result of their participation. Maritimo Australia's legendary skipper Ross Willaton also took part in the Muster giving USA skippers plenty of operational advice and tips. Mr Haines said Maritimo's were enjoying growing popularity in this part of the USA where the colder climate made the Maritimo enclosed flybridge a huge bonus for boaties. The Roche Harbour 'Maritimo Muster' was part of a three week Maritimo promotional exercise by the company that also took in events and meetings in Dubai and the Cannes International Boat Show. Maritimo is inviting all Maritimo owners and supporters to join on an adventure to the US in 2015. Mairtimo race team is scheduled to take on the best in the world at the World Super Boat National Championships at Key West, Florida in November, 2015 and we’ve put together a great tour package with excitement group travel specialist, Ticket2Ride Global Adventures, that will also take in the Fort Lauderdale Boat Show. Scheduled for early November, 2015, the feature-packed tour will take guests to south Florida in the US to experience the world famous Fort Lauderdale International Boat Show, which attracts the world’s top brands, and where Maritimo will have a major display. The following week, the tour will move to the iconic Key West to witness Team Maritimo compete in the incredible World Super Boat National Championships, with five days of 190km/h action featuring the world’s top powerboat racers. 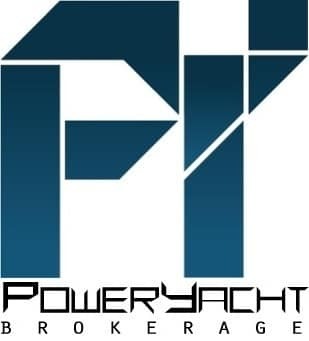 The Paris International Boat Show has organized the second issue of this prize for power boat design in partnership with Moteur Boat, Neptune and Sport & Style magazines. After a public vote and the votes of a jury of professionals to elect the overall winner amongst the five finalists in each category, the Nautic Motor Boat Design Award prize for the “Cruiser” category has been awarded to the Prestige 420. The Prestige 420 receives the 2014 “Nautic Design Award”. The prestigious jury, who awarded the prize, comprised: Alain Pichavant – General Organiser of Nautic, Nathalie Bigaignon – General Secretary of the French Federation of Nautical Industries, Odile Decq – 2013 architect and designer of the year, represented by Hugo Duchiron - designer at Odile Decq Design, Stéphanie de Loustal – Editing Director, Moteur Boat & Neptune Yachting, Michel Luizet – Editor in Chief, Neptune Yachting, Frédéric Pelatan – journalist, Sport&Style and Editor in Chief of the Journal du Nautisme, with the additional participation of Philippe Starck, Ole Nissen-lie (Batliv.com), Morten Brandt (Badnyt). The prizes were handed out Friday, December 12th, 2014 at 7 pm in Hall 4 at the Paris Boat Show. This competition was open to all power boats launched after 2013; all categories and all prizes taken into account, this prize rewards the following criteria: the exterior silhouette, the originality and aesthetics of the hull, the ergonomics, the choice of materials (trim, upholstery etc). Revolver 44 GT, by the Italian Revolver Boats, has made it through as finalist for the 2015 Motor Boat Awards, as announced in early December. Nominated for the category 'Performance and Sportboats', the vessel perfectly reflects this description: its cutting-edge technological solutions provide exceptional performance in total safety, combined with a sporty yet refined design. The winners of the contest, organized by the authoritative British trade magazine Motor Boat & Yachting, will be announced at a gala to be held in London on 12 January 2015. The prestigious awards are presented every year by a jury of specialized editors and boat testers to the vessels that stand out most for their technical and design features in sea trials conducted over the previous twelve months. Consequently, the finalists of each of the nine categories had to pass a series of rigorous and thorough tests. The Revolver 44GT is the work of Michael Peters on the hull and the designer Alberto Mancini on the interior and exterior. Since its presentation in July 2014 in Monte Carlo, the vessel has aroused great interest, especially for the originality of the project, which aimed to transfer the qualities of a Grand Turismo car to the sea through a blend of excellent performance, cutting-edge technology and great comfort. The nomination for the 2015 Motor Boat Awards provides valuable recognition and further confirmation of the excellent work performed by the Revolver team, transforming an idea into reality. The Spring - Summer 2015 collection by the LA MANIA Fashion House took place in Soho Factory in Warsaw on the 17th of December. 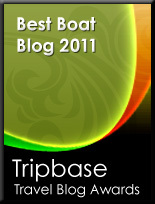 For the following year in a row, the strategical partner of the event was the Sunreef Yachts shipyard. The joint adventure for Sunreef Yachts and La Mania began in 2012, when two visioners, the Founder and President of Sunreef Yachts - Francis Lapp and the Creative Director of the La Mania Fashion House- Joanna Przetakiewicz, met during Economic Forums in China and the Middle East. It was then that it turned out, that the two companies have the same approach to luxury and their visions of extending into foreign markets. The motor and sailing Sunreef catamarans, just like the La Mania clothing are based in Poland and are appreciated by lovers of sublime elegance in Europe, the Middle East, China and both Americas. This was already the third show in which La Mania partnered up with Sunreef Yachts. The Fashion House also took part in an exclusive cocktail party that was organized in 2012 in Cannes to celebrate the shipyard's tenth anniversary. The special guest of the evening was the legendary Polish President - Mr. Lech Walesa. The La Mania collection fashion shows also graced two past editions of the Pomorskie Rendez - Vous (2013 and 2014), which has been created by Francis Lapp and is known as the most exclusive event in the luxury goods sector in Poland. The La Mania brand has been highlighting that it's definition of luxury is beauty. Fresh colours and new designs characterized this year's collection. The whole event was accompanied by a great musical and choreography fitting. One of the key points of the event was the Sunreef exposition area, where Guests could admire luxury catamaran models and beautiful photographs of unique superyachts. S2 Yachts is pleased to announce that Whitney Vishey has joined the S2 Yachts sales and marketing team as the department’s Marketing Manager. In this position, Whitney will be responsible for collaborating with the sales and marketing department and assisting with brand development for both the Tiara and Pursuit luxury boat brands. For the past 6 years, Whitney has worked in Chicago, IL marketing for the professional services industry. She has experience in event planning, website development, advertising and public relations. She holds a bachelor’s degree in Business Management from Hope College. Whitney will be based at the S2 Yachts Corporate Headquarters in Holland, MI. 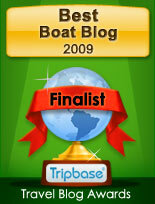 The Wider 32’ has been recognised as one the five boats selected in the category “under 35ft”. The winners will be announced at the Flagship-Night on the 17th January 2015 during the Düsseldorf Boat Show. Viking established a relationship with the local Ocean County Vocational Technical School in 1968 and has been successfully working together ever since. The School trains secondary and post secondary students for various trades such as electrical, welding and HVAC to name a few. Viking then works with the school via the Cooperative Industrial Education program where students receive hands on training at the New Gretna, New Jersey, facility. Recently the class schedule was broadened to include an Adult Education program for hospitality which Viking signed onboard to help establish. Lead by Chef Ian Smith at Cuisine on the Green, students not only get an education in the classroom but also in a working restaurant. Functioning in a fully operational professional kitchen increases the experience and real world knowledge for the chefs in training. As part of the program, Viking utilizes the student run kitchen to supply lunches to the Viking cafeteria several times a week. Dave Anderson and his crew on the Viking 70 Krazy Salt's dove into December with a Second Place finish at the 26th Annual Pirates Cove Sailfish Classic. With Captain Keith Greenberg at the helm, the Krazy Salt's team released 17 sailfish with mates Luke Hickey and Scott Adams assisting. Scott took the Top Angler Award for his 10 releases. As the United States begins to feel the wintery weather, the majestic Morjana is basking in perfectly tropical climes. The Viking 82, which has been based in Dubai, is currently touring the Seychelles Islands in the Indian Ocean just east of Africa. Morjana's crew, based at Eden Marina, reports the fishing is as perfect as the views. Over six days, Morjana has raised a myriad of fish including blue and black marlin, sailfish, yellowfin, wahoo and mahi mahi. A neighboring boat released a blue marlin close to 600 pounds.